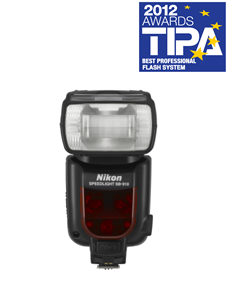 TOKYO - Nikon Corporation is pleased to announce that three of its products are recipients of the prestigious TIPA Awards 2012, the authority in the photography and imaging industry. 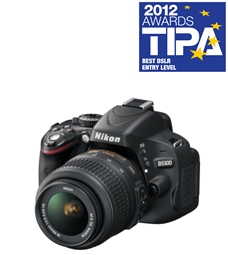 The Nikon D5100 digital SLR camera has been selected for the Best D-SLR Entry Level Award, the Nikon D800 digital SLR camera for the Best D-SLR Expert Award, and the SB-910 Speedlight for the Best Professional Flash System Award. 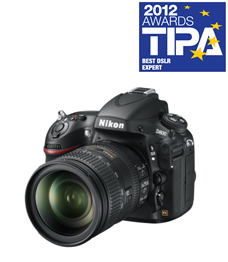 The best photographic and imaging products in a number of categories, announced between April 1, 2011 and March 31, 2012, were selected for the TIPA Awards 2012 through voting by editors of member camera and imaging magazines from thirteen European countries, Australia, Canada, China, the United States of America and South Africa. With its 16.2-MP CMOS sensor, image quality at high ISO sensitivity and the excellent definition of the monitor, the Nikon D5100 allows beginners to learn about the quality of a digital-SLR camera and more experienced users to have a very complete camera at an attractive price. Shooting ease is aided by the convenient access to photographer-controlled settings as well as its impressive Vari-Angle LCD monitor. Adding to the fun of using the camera are numerous in-camera special effects modes, including in-camera High Dynamic Range(HDR) function. In addition, the D5100 offers Full-HD(1920 x 1080p/30p) movie capability. The D800 offers an amazing effective pixel count of 36.3-million pixels that allows photographers to capture images of impressive quality. The image file size begins to rival medium format digital back output and allows photographers to print their images using large format sizes. Its Full HD-Movie for movie recording will also appeal to advanced photographers who want to make quality videos. Well-built, but not too heavy, fun to use, and equipped with all the essential functions, the D800 offers stereo sound, a range of ISO-6400 (expandable to ISO 25,600 equivalent) and 4 frames-per-second burst rate. For TIPA members, the camera is without a doubt the best melding of high-end demands and the needs of a practical enthusiast. Built on Nikon Creative Lighting System, the new SB-910 flash unit incorporates an enhanced intuitive operating system and graphic user interface. The SB-910 speedlight covers the most popular focal lengths, and has a built-in FX/DX-format identification that optimizes light distribution based on the camera body. This new speedlight also provides more efficient battery usage as well as an enhanced Thermal Cut-Out function that will increase recycle times as the flash heats up, rather than shutting down completely until it has cooled off. The SB-910 features new hard-type colour compensation filters for fluorescent and incandescent colour temperature balancing, which can change the white balance setting of the camera automatically.